The diagnosis and treatment of osteoporosis is still a relatively young science. 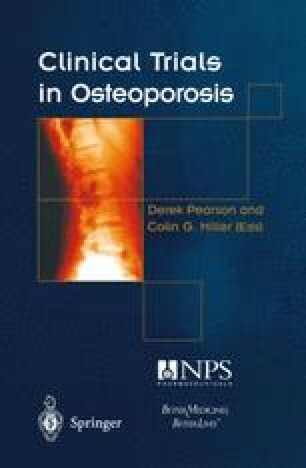 Although Albright first described osteoporosis in 19471 it is only since the late 1980s and early 1990s that we have had the instruments available to us for the diagnosis and then treatment of this disease. Like any medical area in its infancy, we can therefore expect a significant number of changes in the coming years, as the understanding of bone physiology becomes more comprehensive and the genetic factors leading to increased risk factors become known. Second to being right in this world is being totally wrong.